We are back now from a Summer of sunshine and festivals. It has been a truly amazing one and looking like a very busy year ahead. You can catch up with me at Arts Depot in Finchley on 12th September for another blissful gong bath, possibly the last gong bath in Finchley as I have a lovely new venue, slightly more central for October between Archway and Finsbury Park with great transport links and a car park! Some interesting collaborations have included a corporate gong bath for 100 people with Ali where we had no less than 6 mostly large gongs! and festival gonging with Angie at Sun and Moon. Just a few photos from our time at Sun and Moon Festival. 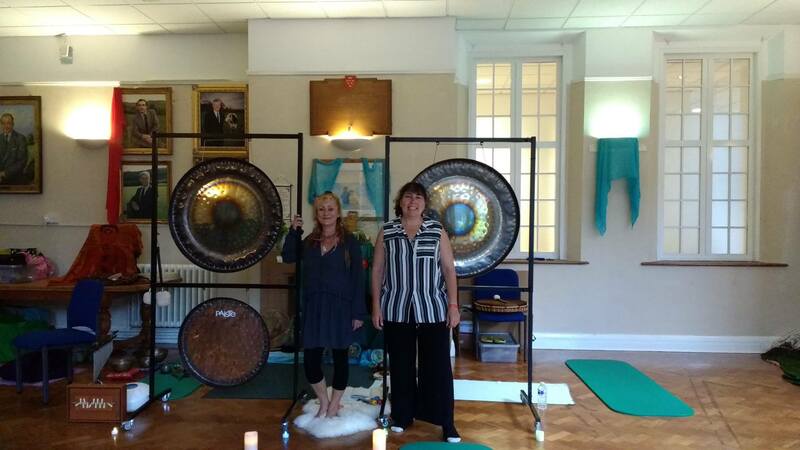 Although it was the first time we (Angie and I ) had facilitated a public gong bath together we worked together as if we had been doing so for many years and received incredible feedback. We filled the room to maximum capacity even having to sadly turn some people away. We are planning to do it again! 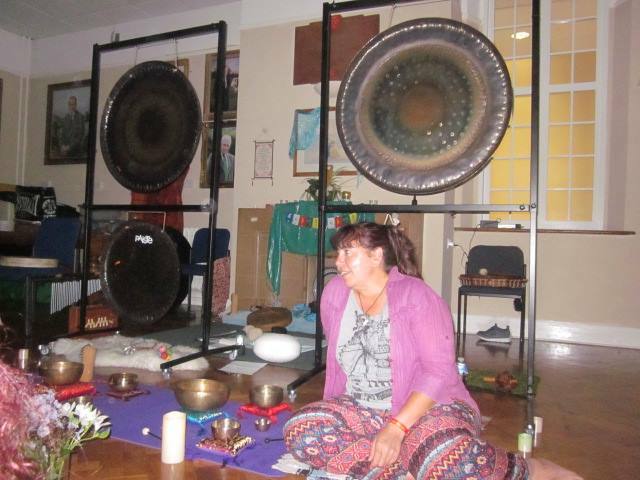 Take a look at the incredible feedback we received, even inspiring another sound healer to bring gong in to her work. This entry was posted in corporate gong, Festivals, Gong Bath, London Gong and tagged corporate gong baths, corporate wellbeing, gong bath, sound bath in london, sun and moon festival on 28th August 2016 by Odette.